All-new animation offered throughout UNIQLO clothing stores in Japan on January 1, 2011. The DVD contains an exclusive version of Mayonaka Orchestra, by the Japanese rock band Aqua Timez. A limited number of the DVDs was offered as presents to people who bought UNIQLO's Naruto graphic T-shirts online or in their stores. Umm completely and utterly epic. I don't know what has just happened- maybe spoilers for the end of naruto, or an awesome professional AMV, but it was really good. I re watched it about 10 times. And to be honest, it's only 6 minutes long, so i don't see why you're still reading this, and not watching it. Honestly this isn't a review, but an observation of what this six minute OVA could be. Naruto x UT, is it an awesome ova displaying some of Naruto and Sasuke's best moments from Naruto and Naruto Shippuden in arguably better animation than the anime, movies, or ovas ever had? Or is it a sneak peek into the future of the story? I have two possibilities of what this ova could be. 1. On January 1st 2011, people in japan were able to buy T-shirts of the Naruto fame, and including the shirts, they also received a promotional ova that shows a six minute animation featuring a fight between Naruto and Sasuke, that just seems so unbelievably canon that it seems like it's showing whats to come in the future of the Naruto series. In fact, it just might be. The ova displays such events that seem to be so congruent with the anime and manga, especially to those who have been keeping up with current events in the manga. But the thing is: As of this sentence, these events had yet to happen in the anime, heck even in the manga. Is this ova a strange sneak peek in the future of the series? 2. A promotional ova and nothing more, but that's a little hard to believe. 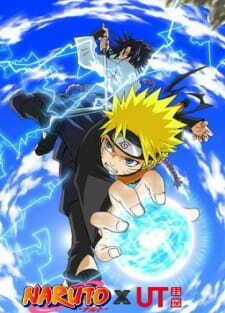 + Some the best animation a Naruto series has ever displayed. + A possible look in the future of the series. - Could just be a promotional ova, that's just coincidentally showing events that had to do with the series. We frequently tend to think that, due to the short length of a piece of work -which means there is no chance for huge plot/character development-, something can not achieve greatness. However, Studio Pierrot manages to produce an outstanding OVA which, on one hand, briefly brushes up some of the most iconic moments of the franchise starring Naruto & Sasuke -until date, January 1st, 2011- with some top-notch re-animation and, on the other hand, hypes people up with some interaction between their two MC. Not to forget Aqua Timez' "Mayonaka no Orchestra" fits quite well, giving some feels while watching these two battle once more. Whether you consider this a 6 minute recap of their relationship or a stand-alone piece of work, sheesh, we are in front of quite an EPIC OVA. Basically a 6 minute long AMV. Pretty good fight between naruto and sasuke and highlights their struggles to get where they are.